Street Food Festival returns to the City of Winds with mouth-watering new dishes. After the success of Baku Street Food and Sweet November festivals, the team of the Meal for Real culinary project with the support of the Icheri Sheher State Historical and Architectural Reserve will host a new project to delight foodies. 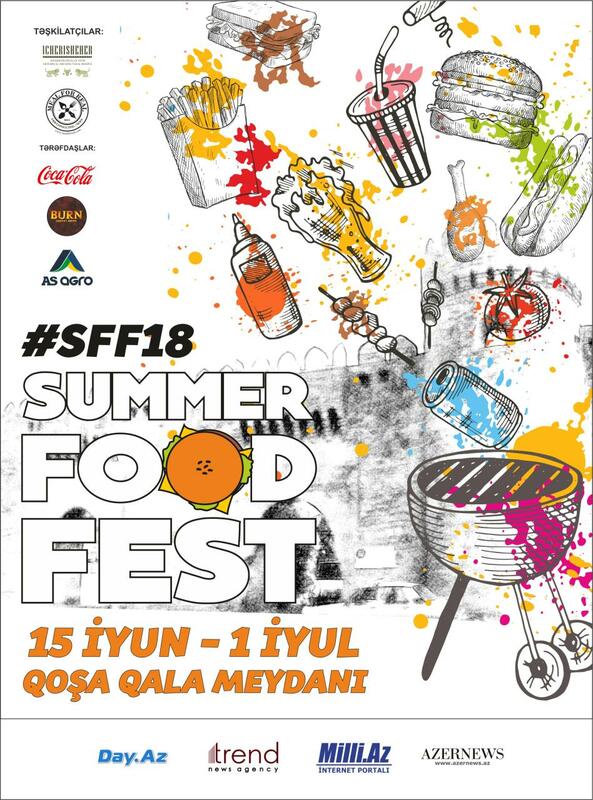 Summer Food Fest will take place in Azerbaijan's capital form June 15 to July 1. More than twenty restaurants and cafes of the capital will take part in the festival. The restaurants will offer guests not only their favorite dishes, but also a special menu. A gastronomic feast will be organized in the heart of Icheri Sheher, near Gosha Gala. Every day from 11:00 to 23:00 various quizzes from restaurants, master classes, entertainment for children, wonderful music and the famous DJs await you. Entrance to the festival territory will be free, so every visitor will have a great opportunity to try delicious dishes. The first Baku Street Food Festival was held in Icheri Sheher on May 19-21, 2017. Sweet November Festival took place on November 23-26, 2017, attracting great interest of Baku residents and city's guests.